Teaching children a foreign language can be difficult, and even if you start at a young age, they might be very likely to forget what he has once learned due to their tendency to focus on their day-to-day activities instead. As such, a better option you have when trying to help your little one improve his language skills is letting him play the Memory Game at OnlineFreeSpanish.com, which will enable him to memorize a wide array of words belonging to several categories. There are many reasons why using the Memory Game provided by OnlineFreeSpanish.com can actually help children learn Spanish better and faster as well. To completely understand them, we should go more in-depth with the features included in this activity. To play the Memory Game, children will have to find matching pairs of pictures, names and sounds. The difficult level can be adjusted from 3 to 12, representing the number of pairs that need to be matched in the game. 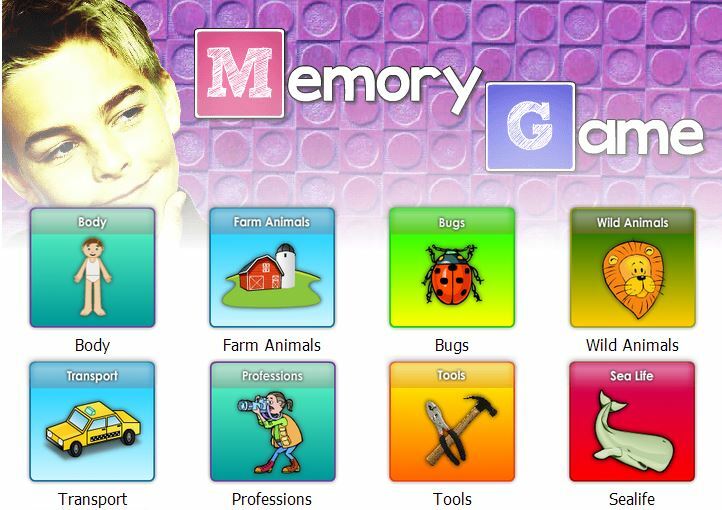 The Memory Game has been specifically implemented to help children with both beginner and advanced skills enjoy this activity to memorize words, and for this reason, your little one will be able to check the “Hint” box prior to starting the game, which will allow him to see the placement of each card when the game starts. Every time he clicks on a card, he will hear the pronunciation of the specific image depicted there. Much to their delight, children can track their progress by clicking “How am I doing” in the menu interface. The primary reason why the Memory Game is such an efficient way to convince your child to use his entire attention on learning Spanish is that he or she will be extremely eager to find the matching pairs. Since he will be able to see and also hear the Spanish name of the picture showcased on every card, he will automatically be able to unconsciously memorize them. You will undoubtedly be able to notice an improvement in his vocabulary over time, especially because the Memory Game includes several categories your child can choose from when playing it, including Body, Solar System, Farm Animals, Professions and Sea Life as well. The Memory Game constitutes an extraordinary opportunity to make your efforts worth the time when it comes to helping your child learn Spanish, especially since this activity can be very entertaining, making him completely focus on its goal: finding matching pairs. As a result, he will be more likely to memorize not only the pronunciation of every element, but also how its name is spelled, therefore enriching his vocabulary and being able to take his language skills to the next level. Before deciding on how to best use the Memory Game to help your child learn Spanish, we suggest letting him enjoy this activity shortly after he goes through one of the lessons of Level 1, which teach him all the words presented in the game. This is going to be an excellent way for him to remember about them, thus learning how to better handle Spanish and use it for the lessons that are about to come. Please let us know your thoughts about this article.